Musically, I think the project has evolved quite a bit since I last saw them: it’s more thought out although by no means lacking improvisation and spontaneity, still. As a proof to that, vocalist Jeff Taylor (in whose band Mark Guiliana and Stephen Wall play as well) got on stage for a few tunes for even more musical energy. But, I would actually be really worried about my hearing if I’d frequent the place a bit more. 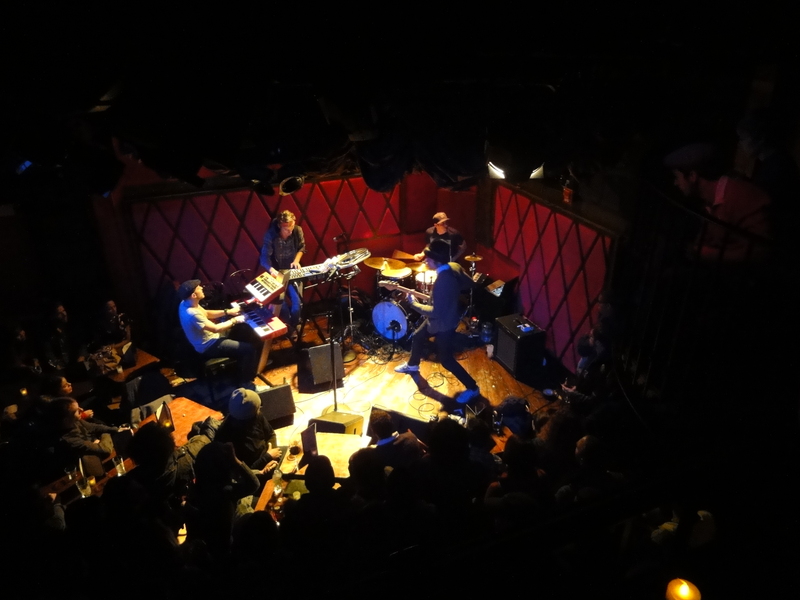 Went to hear Now vs Now at Rockwood, Stage 2 (they have 2 stages these days, pretty awesome): Jason Lindner on keyboards, Mark Guiliana on drums and Panagiotis Andreou on bass. Some of the tunes I had heard before (also have their first record, which is great) and some were new (they actually said they might record a live album at Rockwood on their next gig in January). The concert was quite packed. I thought it got better and better towards the end but somehow I found it more difficult to be swept away this time. Maybe because the sound is just brutally loud at (this otherwise incredibly happening) Rockwood Music Hall. Must have earplugs. 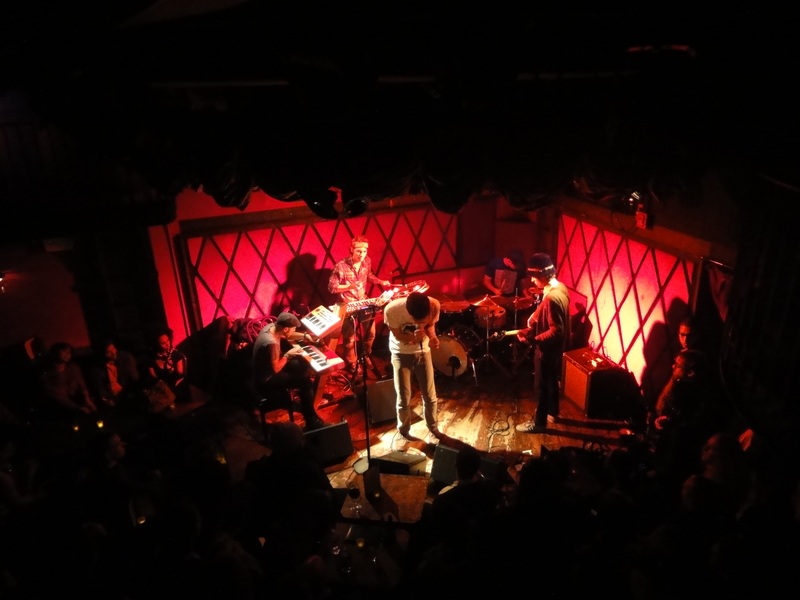 I like to see all Mark Guiliana’s gigs whenever I’m in town, so I had this one marked in my calendar quite a while ago. It got pretty crowded this time, maybe because it was also highlighted in Time Out NY and other such publications this time and I’m very sure that Mark’s fan base is growing fast, anyway. 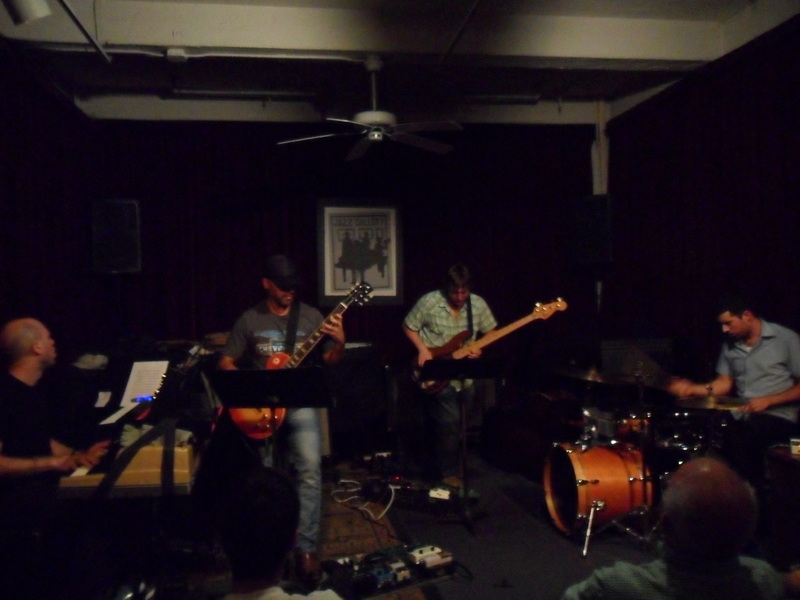 Mark Guiliana on drums, Jason Lindner on keyboards, Jason Fratticelli on bass, Mike Severson on guitar. The first set was seemingly more prepared and the second one more experimental, like it often is @ Rose (where I’ve heard Mark has play with this group quite a lot). The experimental direction requires a relaxed and unhurried atmosphere, I guess, for which is Rose is quite perfect, actually. Despite how cozy Jazz Gallery is, it feels a bit more official. There was definitely a need for ear plugs sitting in the 3rd row, which isn’t that common at the Jazz Gallery. Mike Severson really nailed some seemingly easy guitar parts, I think it’s not so common to make rock guitar actually sound that deep. Jason Fratticelli, who played electric and acoustic bass was really a pleasure to listen to, such a musical bass player, really went into the music. I thought that Jason Lindner wasn’t as inspired as the other couple of times when I’ve heard him with this project. Mark Guiliana added quite a lot of recorded speech and effects from the computer to the music (I wonder if it’s a trend for drummers, since recently I heard Kendrick Scott use Bruce Lee’s Be Water talk for one of his tunes). It crazy how good the coordination must be if he can just keep playing with the knobs and switches and keep up such groove while doing it. I’m still a huge fan of Mark Guiliana’s drumming, I don’t think anyone would be able to copy what he does, really. Was nice to be back at the Jazz Gallery. They seem to have a new ticket policy – it’s $20 for non members (used to be $10-15). But it’s all for a good cause, definitely. The last one in 2009. Featuring David Binney on alto, Jason Lindner on keys, Alan Hampton on bass and Mark Guiliana on drums. Rose was really crowded, more people than usually. I preferred the second set, but generally I didn’t get so into it this time, for some reason. 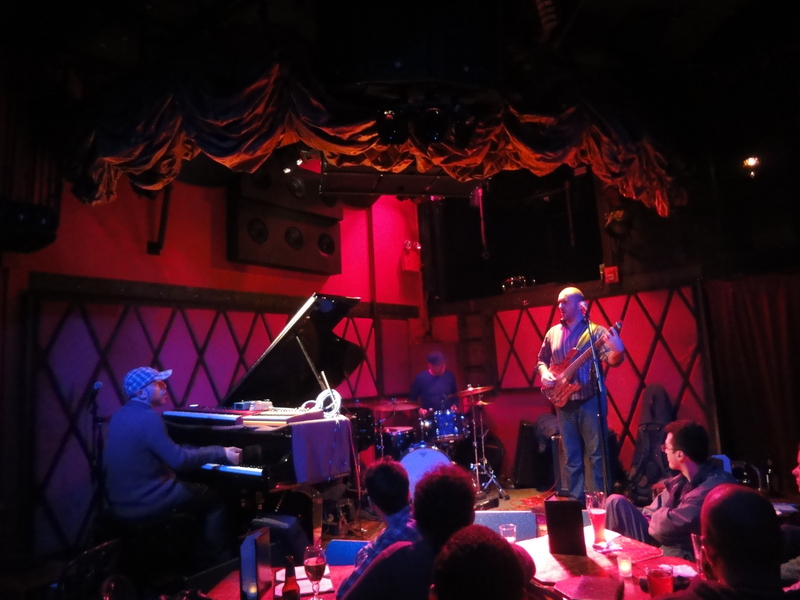 So far, my most memorable Mark Guiliana experiences have been the HEERNT gig in August and the first time I ever heard him in New York, with Brad Shepik and Bill McHenry. And the last two THING gigs @ Rose. So, that was the last one in 2009 – I suspect I’m not going to hear Mark’s THING for a while now. Really sad. 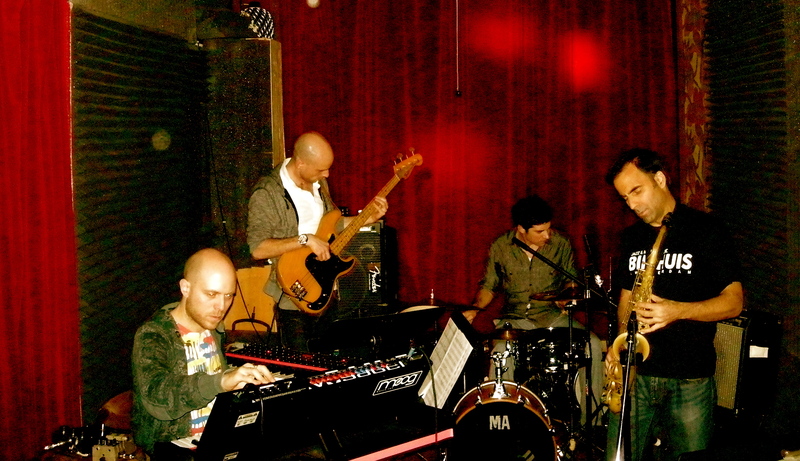 One of my favorite bands… 😀 Jason Lindner (keys), Panagiotis Andreou (bass, vocals) and Mark Guiliana (drums). I was so excited about the album release party – Now vs Now with guests such as Avishai Cohen (trumpet), Anat Cohen (tenor), John Beaty (alto), Jeff Taylor (vocals). And a string quartet. Atmosphere @ the release was great. Lots of people, digging on the music. I wasn’t that much into the opening act though – Brazz Tree. 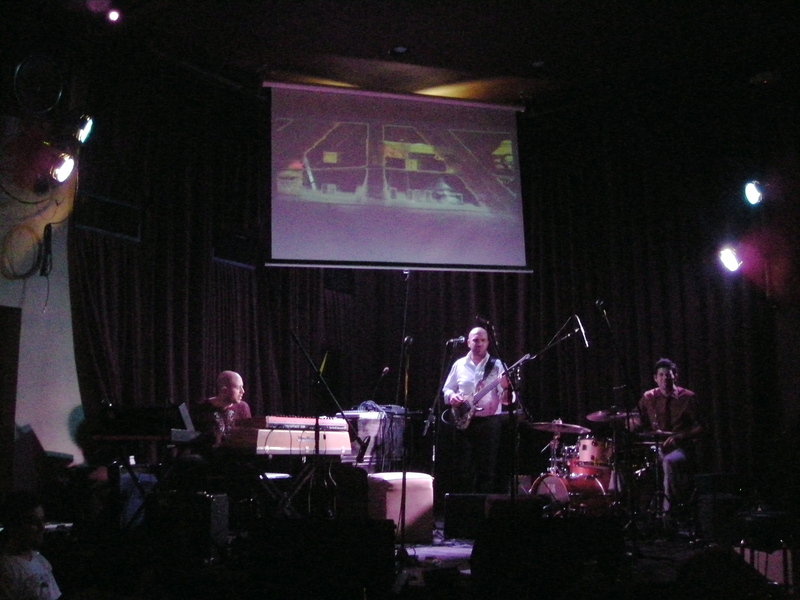 But Now vs Now show was great – I’m loving the music and the band and the concept. The videoscreen and all those guest artists were amazing. But i’ve gotten a little spoiled hearing them at those small intimate places like Rose and Rockwood – I think there the live energy can get to be even more up.